The choice of cameras for skiing can seem overwhelming. Helmet mounted sports action cams to capture your epic descents to large DSLRs to create stunning high quality landscapes. But what if you wish to capture beautiful photographs of friends and family, simply, quickly and without the need to rummage in your bag, or adjust numerous settings? 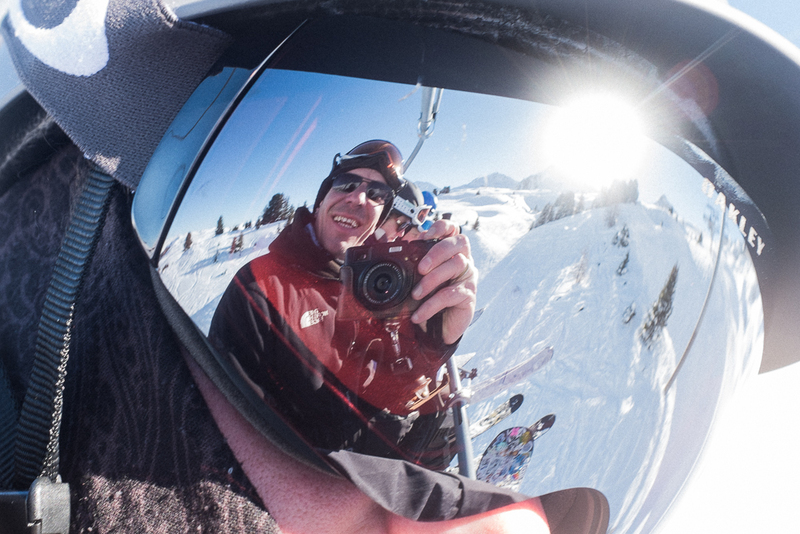 I have been a photographer for over ten years and in my experience a small, easy to use camera is a big advantage in getting those memorable images on the slopes. It is accessible when I need it and when I want to concentrate on skiing I can do so without worrying about camera damage. I like a camera that slips in to my pocket and is easy to whip out and use instantly. A camera that enables me to capture the moment effortlessly, as it happens. 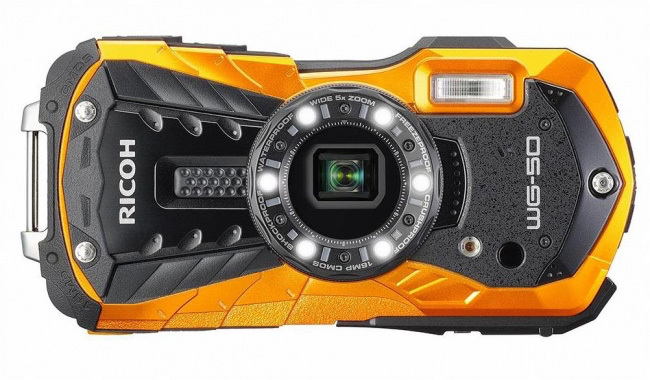 A camera that can survive the harsh mountain conditions, the tumbles and even the après ski! So here are my recommendations for the best tough cameras for skiing! Small, light, easy to use, tough and at a range of prices to fit most budgets. The Olympus Tough has built in GPS for location information, a temperature sensor, an altitude sensor and even a compass. So along with your photos you can save a record of the harsh conditions you survived as you skied the Aiguille Rouge. The TG-5 has all the right technology, A 12mp sensor, 4k video and full HD at 120fps allowing you to make super smooth slow motion footage of that epic fail. Perhaps the simplest and best feature of this camera is the addition of anti-fog dual pane glass. With all the time spent going up and down lifts, stopping for lunch in a cosy restaurant or just removing the camera from a warm pocket you can be sure it won’t fog the lens. Great features, a pleasing visual design and ergonomic but a little more expensive. 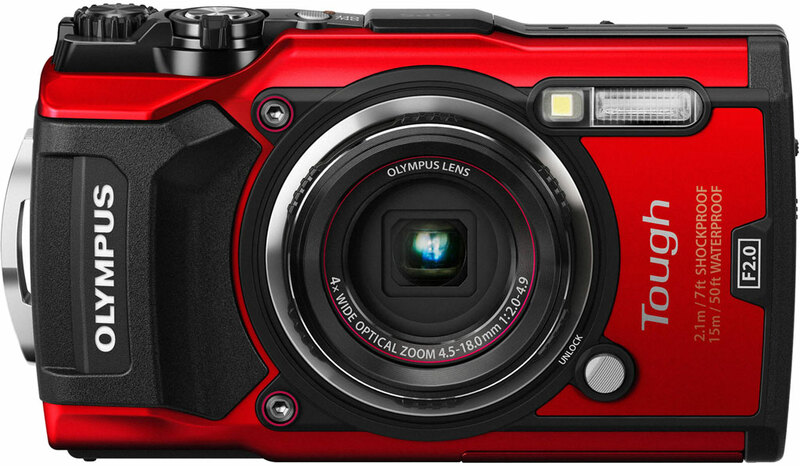 The Olympus Tough TG-5 Digital Non-SLR Camera - Red currently retails at £399 on Amazon. Nikon’s toughie includes a GPS system, altitude sensor and depth gauge. A little more focused on diving with its 30m waterproofing and on screen depth gauge. With a on screen world map to log your pictures, this camera is designed for those who travel. The W300 has a decent sized 16mp sensor and large zoom range of 24-120mm. It supports 4k video and has an in-camera time-lapse function. The controls can be a little fiddly, especially in gloves, but if you want a camera for an all-year active lifestyle then this may suit your needs. 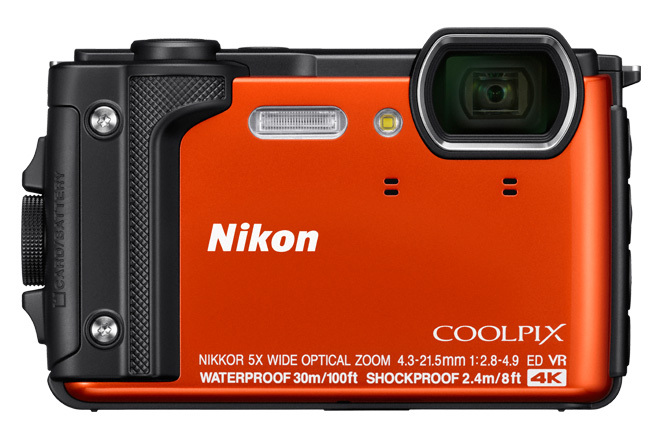 The Nikon Coolpix W300 Digital Camera (16 MP, 5x Optical Zoom/7.6 cm (3 Zoll) LCD Display, 4 K UHD Video, bildstabilisiert) currently retails at £392.99 on Amazon. Ricoh offer up the WG-50, a mid-priced camera built like a tank. It lacks GPS technology and the host of sensors of its pricer competitors but it benefits from being light (194g) and has 24 ‘shooting modes’ to add visual dynamics to your pictures. It has a handy ‘daytime screen mode’ to increase visibility in bright conditions, a great benefit in the snowy mountains. The WG-50 has a 16mp sensor that captures good clear images and records video at HD 1080. The addition of LEDs around the lens for diving and close-up photography make it more versatile if you want to explore more than just ski photography. It rounds up as a good camera for a good price… but is it a beauty or a beast? The Ricoh WG-50 Waterproof Digital Compact Camera - Orange currently retails at £249.99 on Amazon. A lightweight camera that will easily slip into your salopettes pocket for your day on the hill. Not so many features but a great, easy to use camera designed to withstand the elements. The 5x optical zoom coupled with a 10x digital zoom means it happily zooms in on the stragglers as you take pictures from the bottom of the slope. Not so good in low-light conditions so maybe not the best if you want to capture après-ski without the flash. It may be limited on features but it is small, light, easy to use and comes in at an affordable price. 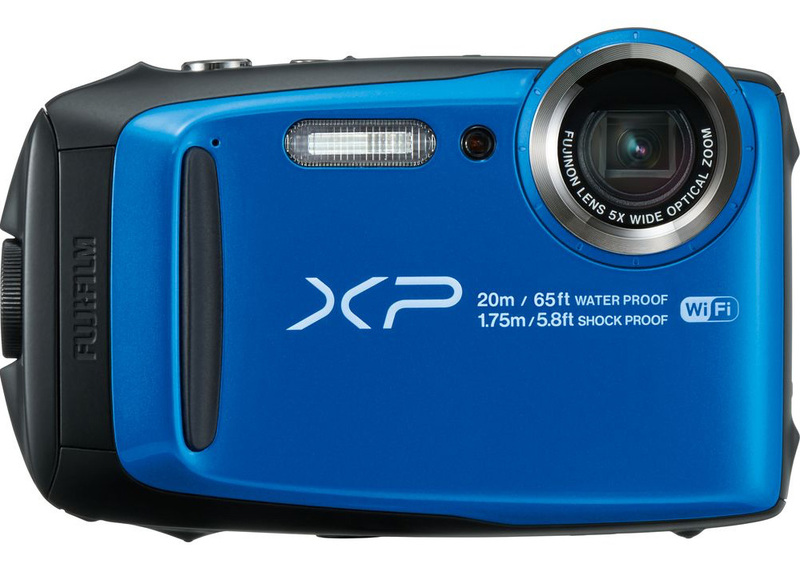 The FujiFilm FinePix XP120 Outdoor Camera 16.4 megapixel currently retails at £174.99 on Amazon. 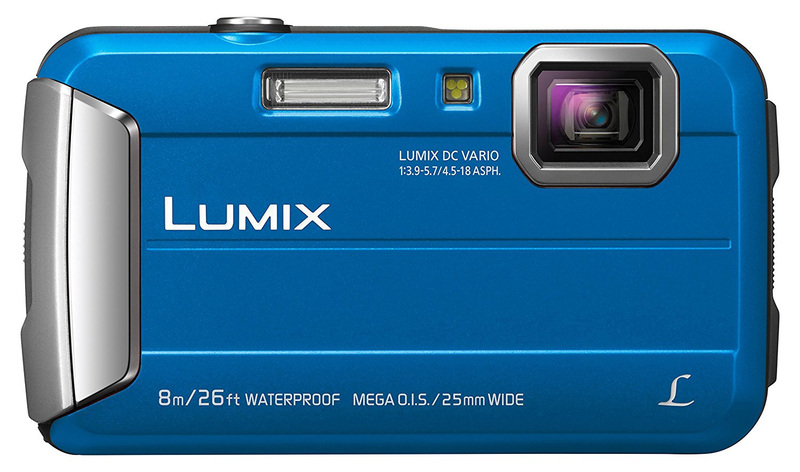 At the lower price range in my search for the best tough cameras for skiing is the Panasonic Lumix it gives acceptable results along with a mouthful of a name. A small, good-looking, well built camera from a trusted and proven brand. The 16mp Lumix has a wide field of view starting at 25mm and zooms in to 100mm… so it has most shots covered. The menu can be fiddly to use, especially with gloves, and the screen can be hard to see in bright snowy conditions. But, it has effective auto settings making quick snaps simple. It may be far from perfect but it comes at a very comfortable price for a quality brand. The Panasonic Lumix DMC-FT30EB-K 16 MP 4x Optical Zoom Waterproof Action Camera - Black currently retails at £105.00 on Amazon. We offer private airport transfers to and from Geneva, Lyon, Grenoble and Chambéry airports as well as train stations and hotels in those areas. We know that travelling from airport to ski resort is by far the most exciting part of the holiday, but its our aim to make it as enjoyable and pleasant as possible. Great stuff. On time, comfortable and easy to communicate with. Excellent service and very professional drivers. We want to thank our lead driver Phil for the high quality work. Fantastic service, very professional outfit. Punctual, friendly and safe.